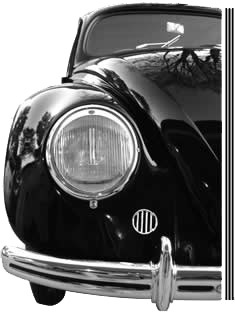 We specialize in new and original parts for early Beetles with special focus on pre-1955 models. Our goal is to be able to offer our customers the widest range of parts for their vintage VWs, a goal we have been following since we opened our doors in 2002. Since then, we have been adding several parts to our catalogue every month to become today the number one reference company when it comes to high quality parts for Split and Oval Window Beetle. Our inventory consists not only of carefully selected original parts but also of high quality reproductions which are only offered and manufactured by us and that are not commercialized by any other companies. We wish you a nice experience when surfing through our website and please do not hesitate to contact us directly if you have any questions. Follow us on Facebook to take advantage of our best deals and receive the latest news on Kaefer-Nostalgie products!